Our machines will help the customer to grow and develop. We have many good examples. Among other successes, for an Italian company, we have developed a custom machine that has improved production to such a degree that the company is now an industry leader. This is a typical example of what collaboration with IndustriTeknik can lead to. We mainly build machinery for the vehicle industry, other types of manufacturing, and the electronics and wood industries. 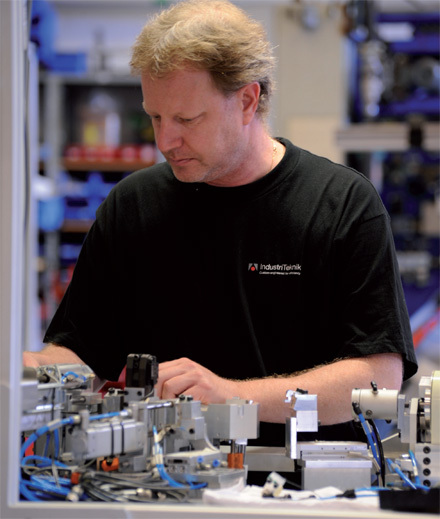 Our focus on custom equipment is in southern Sweden, but exports now account for about 50% of our sales. Many of the machines we have exported are our machines for manufacturing plywood boxes and sound dampening material.